Edward Burtynsky's imagery explores the intricate link between industry and nature, combining the raw elements of mining, quarrying, shipping, oil production and recycling into eloquent, highly expressive visions that find beauty and humanity in the most unlikely places. These images are metaphors for the dilemma of our modern existence: we are drawn by desire--the desire to live well and in comfort--yet we all know that the world is suffering to meet those demands. 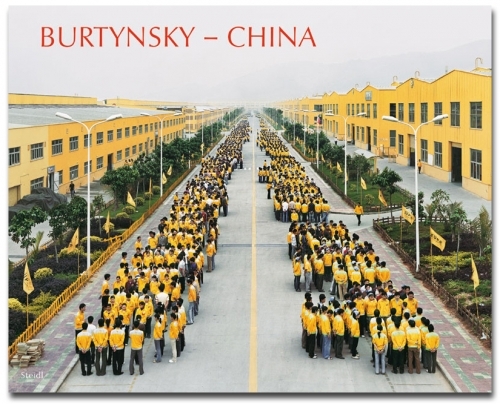 Our dependence on nature to provide the materials for our consumption and our concern for the health of our planet sets us into uneasy contradiction and feeds the dialogue in Burtynsky's images between attraction and repulsion, seduction and fear. Burtynsky's latest body of work gives visual form to the industrial and urban transformation of China, a place where industrial forces are gathering on a scale that the world has never experienced before. If the earth's resources were up to now under siege through western colonialism and technological progress, then China is on the brink of a sweeping assault on the planet's ecosystem that is only just forming and is nowhere close to expressing its full impact.